If you’re not accustomed to the default iOS keyboard, especially because of its size, you might want to use a third party custom keyboard called Big Keys that tries to solve this issue. Big Keys is a third party custom keyboard for iOS devices, which allows users to define custom size for regular keys as well as emojis. It also includes a dedicated numeric keyboard for faster data entry, and also supports swipe gestures. By increasing the size of regular keys, you can drastically reduce typos that occur, for having bigger-than-usual thumbs. Additionally, magnification of emojis is also supported, so that you get a similar experience while typing messages. It also helps you to keep a track of what you’re typing, as you can comfortably see the key labels as you type on the bigger keyboard. 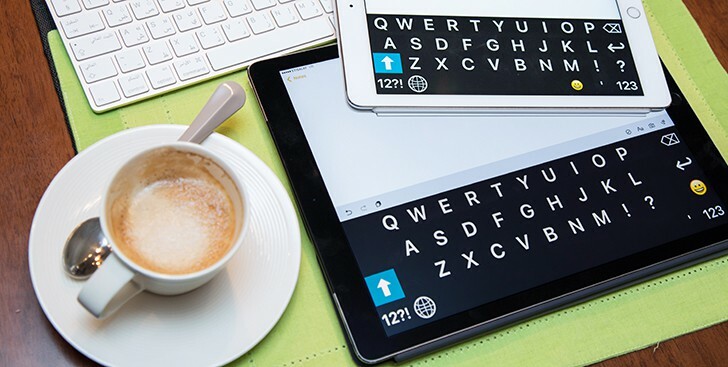 The developer claims that the app will “change your experience on the iPad and iPhone” by allowing you to see the keyboard distinctively, no matter how small or large your screen is. In reality, it depends on what you’re used to. If you are already familiar with the default keyboard on a 4 inch keyboard, resizing the keys using this custom keyboard might affect your typing experience. On the other hand, if you’re used to typing on a bigger screen with bigger keyboards, Big Keys might just help you to adjust to the smaller screen. Big Keys is available @$2.99 on the App Store, and is compatible with all modern iOS devices. We recommend that you try out the app and find out for yourself whether it’s convenient or not.